My sweet Heidi has turned FOUR! She requested a Dora the Explorer birthday party again this year. She LOVES Dora so this was no surprise. As she has an August birthday and it's quite hot here, we opted for a pool party & BBQ. We invited family only - that's still quite a crowd! I needed to put my money saving skills to work here to have a fun party for her and stay within our small budget. 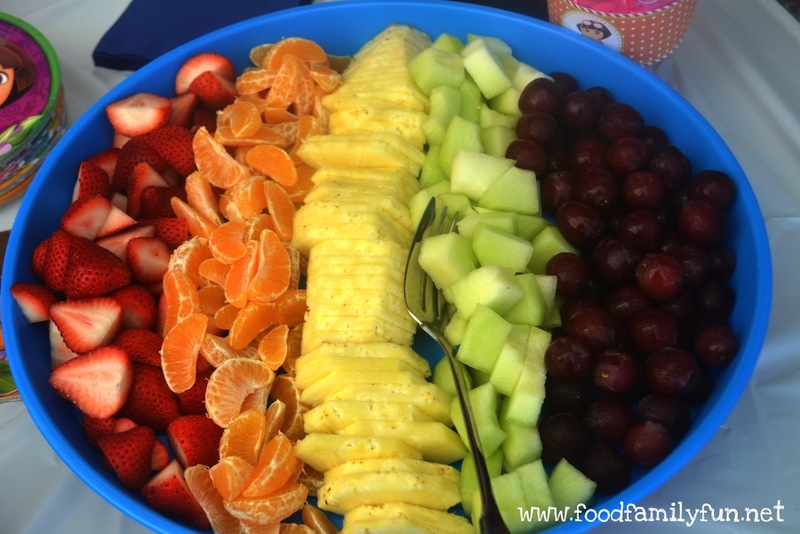 This was the snack table for an afternoon of swimming. There are 19 adults and 8 children in our family. I made lemonade (plus there was water in the cooler & a small cooler of ice), chips & dip, tortilla chips with black bean & corn salsa, white cheddar popcorn, brownie bites, rainbow fruit platter, veggie platter & hummus, butter mints. I also made vanilla cupcakes and purchased a Dora cake. Normally I would have made a homemade cake but this year it was so hot and I just didn't have a good idea or plan to make one. In the past, I have tried to get the kids out of the pool to play some games but they would really rather swim. They wouldn't even come out for Pass the Parcel! So this year - no games. Just fun in the pool. I purchased a few extra ride on pool toys at an End of Summer sale instead of organizing games. I also brought out a bunch of bath toys and plastic boats. They were thrilled. Party tableware - I went super budget here. I bought a single Dora themed table cloth for this table, and solid colour tablecloths for the rest of the tables. I bought one pkg of Dora cups, cake plates and napkins. The rest were solid colours. 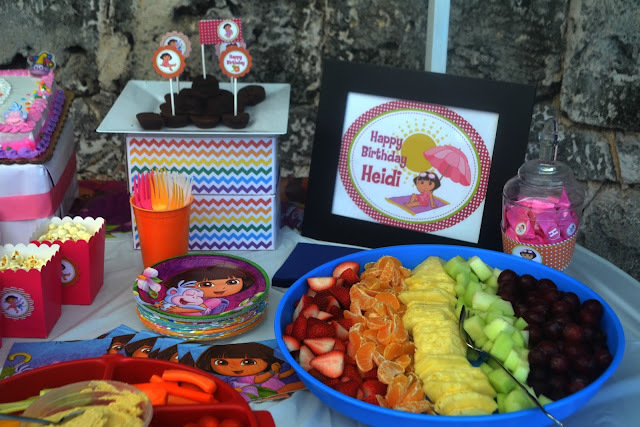 Heidi specifically requests those items with Dora on them, otherwise I would have used all solid colour tableware. 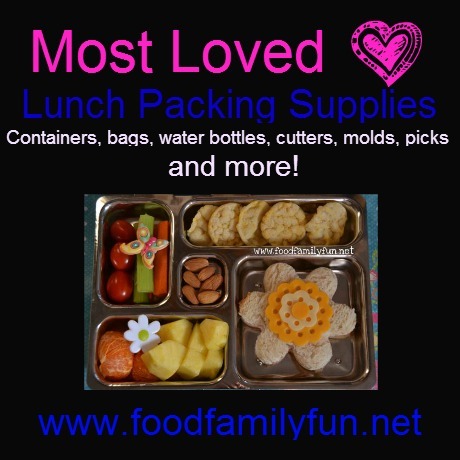 I had some extra tableware items that were saved from my older daughter's Rainbow Art Party. The cardboard tower that holds the brownies is really a push pop holder! I don't have a nice rectangular cake stand, so I wrapped a box and made my own. Heidi thought it was a present! Next time I do that I will put a little treat inside and let her unwrap it at the end. 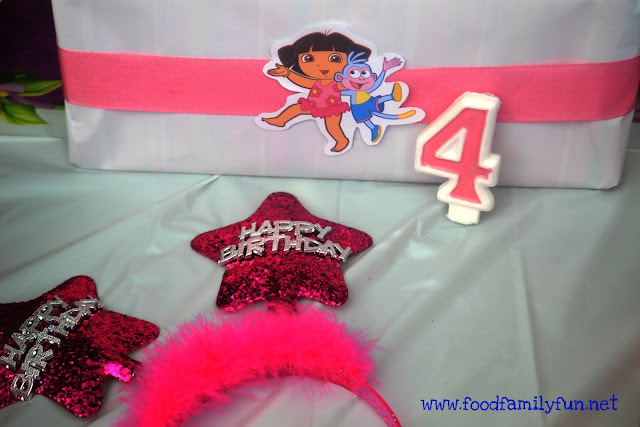 Decorations/Personalisation - there are just a few little Dora decorations that I used. 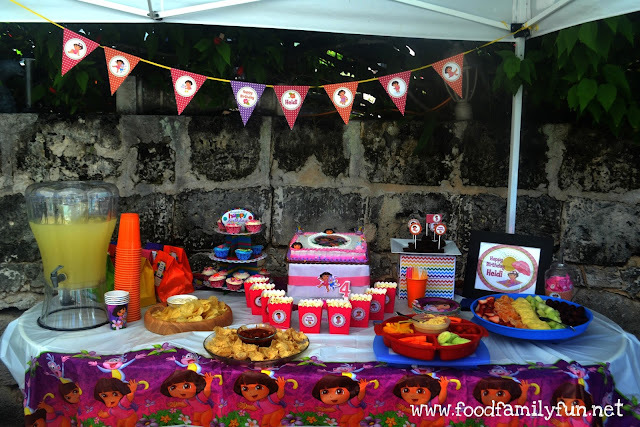 The banner, Happy Birthday Heidi sign, and numerous Dora accents are from a Printable Party kit by Cuties Parties. I ordered this last year, and by skipping over any items that had the number 3, I was able to use them again (and probably next year too if that's what she wants!). 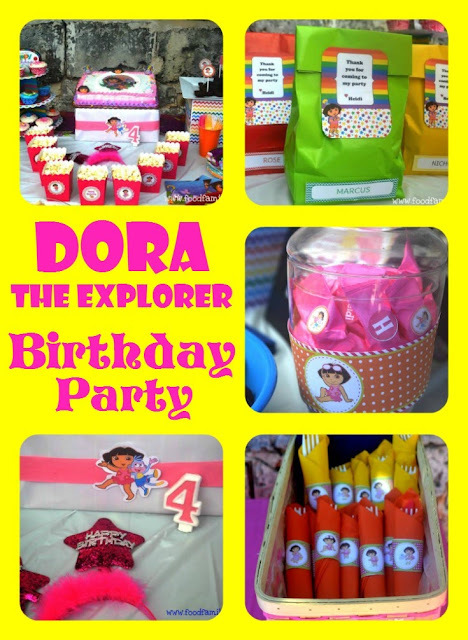 There are several Dora themes available so perhaps we'll make a change. These party printable sets are very affordable and there are so many things you can do with a glue gun and some card! 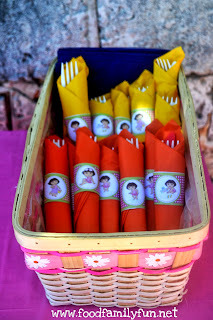 These popcorn boxes are form Oriental Trading and were very inexpensive. They too were packed away as leftovers from a previous use, they come in a pack of 24. 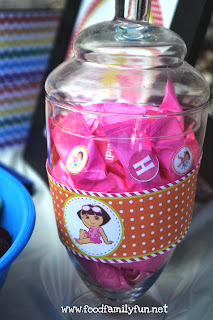 I added the circle tags from the printables kit and filled them with popcorn. I think they look cute on the table. Super simple party bags. 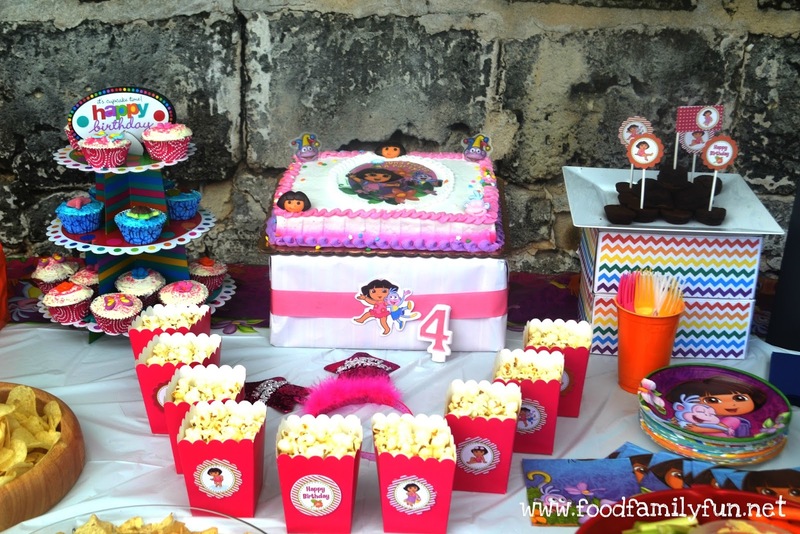 Inside are a few treats, Dora blowouts and party poppers. I was planning on choosing one colour party bag to match the theme but Heidi said she wanted all of the colours! These bags were all extras from a previous party too. 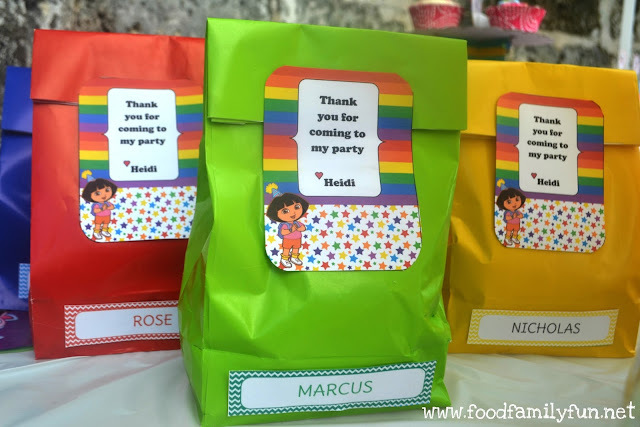 I made the thank you tag using this paper set on My Grafico and the name tags were from the last Rainbow Art Party. Two simple themed items made with the printable party kit. Napkin rings and personalised after dinner butter mints. 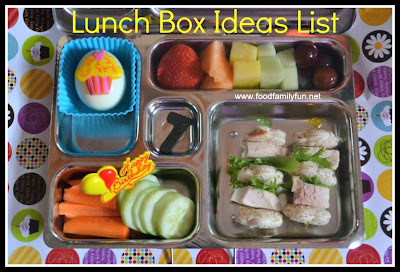 The napkin rings were simple, print and cut the strips, wrap up the cutlery then trim and tape the napkin ring closed. The peronslaised butter mints were also simple. I printed the Dora 0.75" circles on sticker paper, punched them out and stuck them on the candies.